YachtCloud specialises in delivering innovative products and professional services related to technical and/or entertainment systems. All products are developed for the specific needs of the yachting and superyacht industries. The company, founded in 2014, is made up of best-in-class engineers and software specialists who are experienced in the yachting industry and lead the field in technology and innovation. 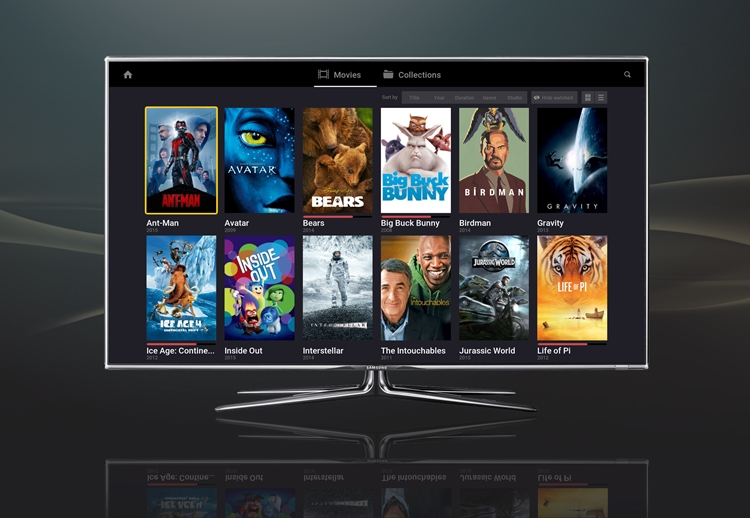 The range includes their flagship product OMNIYON, an onboard entertainment solution featuring a media server, audio and video on-demand, integrated live TV and content and in-cabin control. 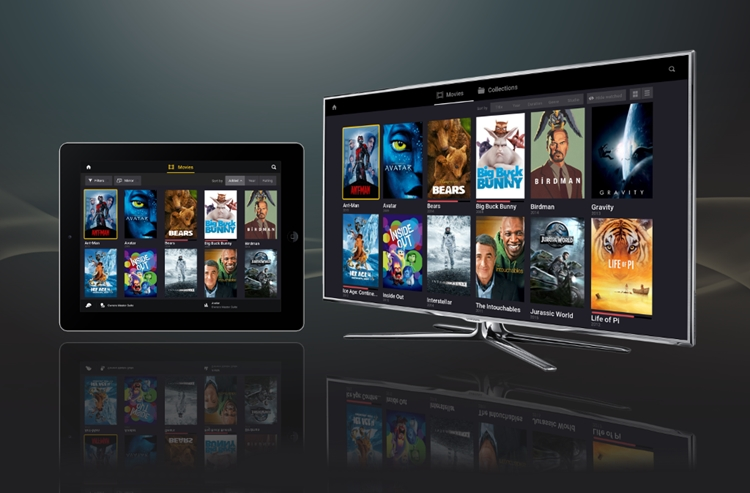 OMNIYON can be used as an audio and video-on demand system only for integration with third party control systems or as a complete all-in one entertainment solution with the OMNIYON App for extended features, integrated control and enhanced usability. Developed by the skilled team of designers, engineers and creatives from YachtCloud, GEST is the future of luxury service call systems. Created for the world’s most discerning clients, YachtCloud’s engineers have worked hard to produce an innovative product packed with smart features to make luxury service intuitive, easier and more efficient. CrewBoard - Sign Crew In and Out Sign crew in and out of the yacht with the CrewBoard app. It provides quick, easy and mobile access to an overview of which personnel are on board. This is the digital age equivalent to the onboard white board. 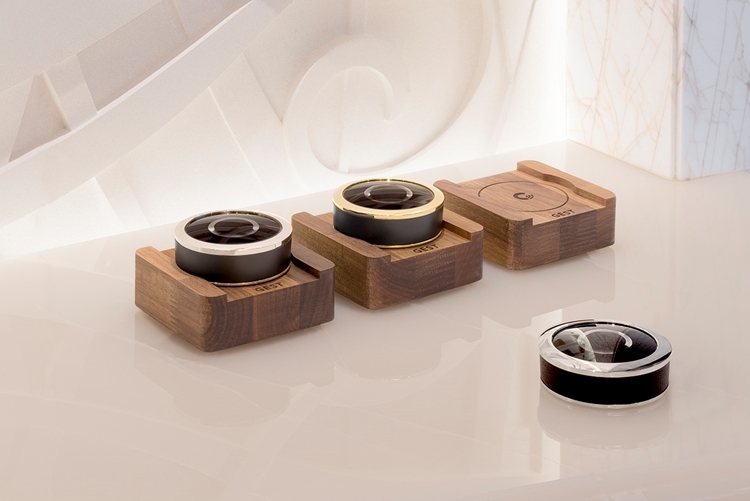 A product by YachtCloud: A captivating fusion of media and control for a naturally intuitive experience. A complete and managed entertainment system focused on user interaction and maximum enjoyment. Your entire media library available to watch and listen to at all times, on any device and at all locations of your choice. Onboard and onshore, Omniyon gives you the freedom to go wherever you want to. Consistency is key. With uniform design and layout as well as continuity of all media on every device, wherever you go, Omniyon guarantees smooth and intuitive usability. An outstanding user experience which is naturally easy, high performance and on trend. 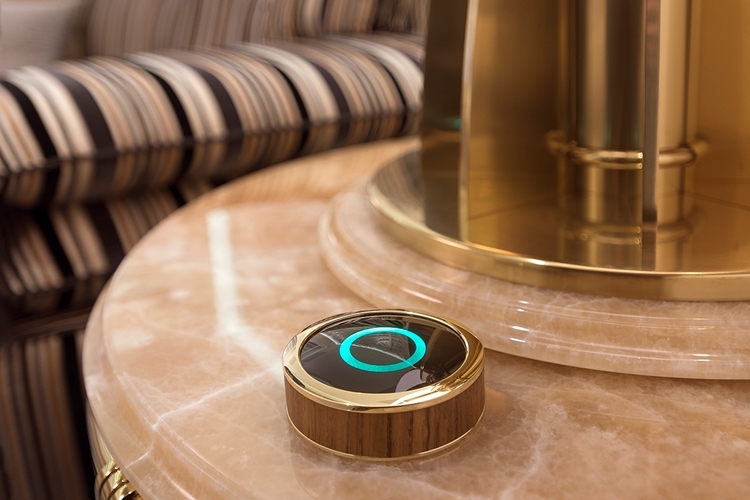 Omniyon stems from a unique understanding of what needs to be achieved to make a product and its usability yacht worthy. 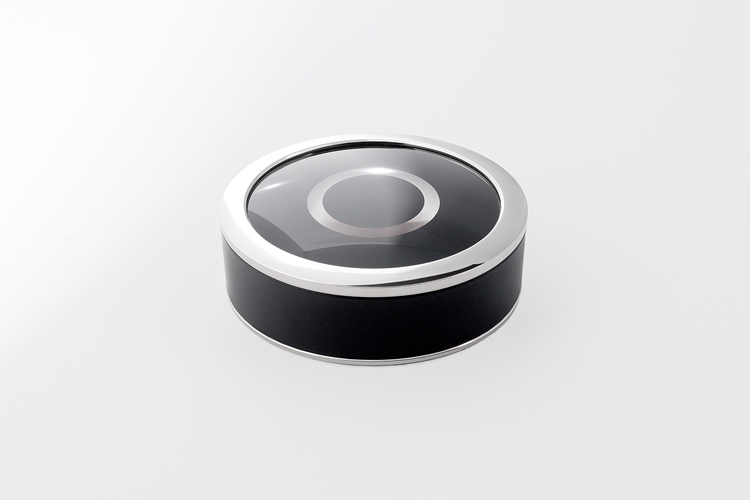 The system is fully managed and offers device and content allocation for every Omniyon user. From exceptional service to system manageability and from user expectation to global availability, it is designed to meet onboard demands. 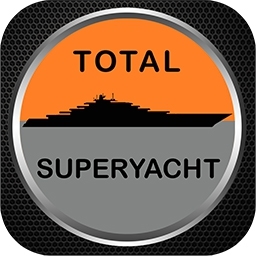 A product by YachtCloud: Sign crew in and out of the yacht with the CrewBoard app. It provides quick, easy and mobile access to an overview of which personnel are on board. This is the digital age equivalent to the onboard white board. The CrewBoard app can be used on a mobile device or on a nominated tablet device at a fixed location, for example, near to any exit on board or in the Crew Mess. Crew members can then sign in or out by simply swiping to indicate their presence. It features a graphically appealing user interface and intuitive management system. 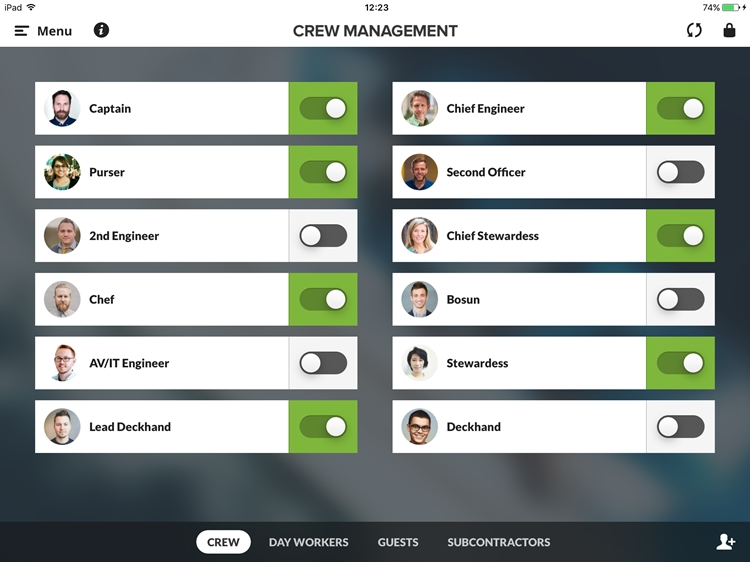 Adding new crew members, groups, subcontractors and day workers and accessing advanced features is simple and self explanatory. Full user profiles including names and job titles can be added and amended quickly and easily. Plus profile photos can be selected from existing albums and libraries or taken directly via the device’s in-built camera and uploaded. 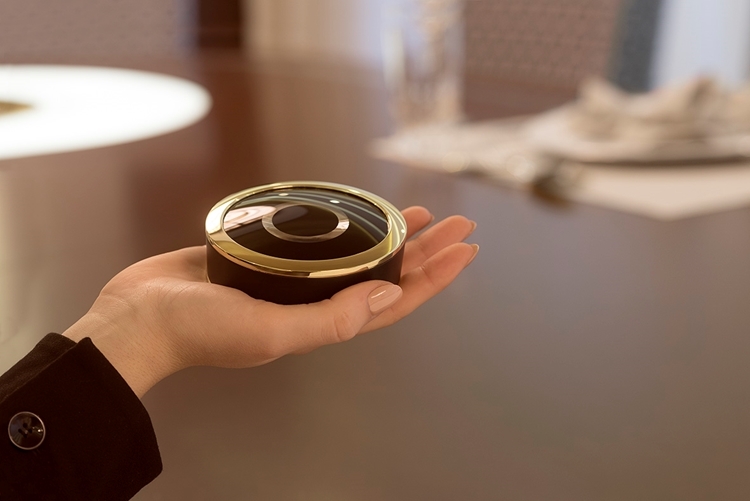 A product by YachtCloud: Safeguard privacy and optimize user access with Echo. Ensure network users only ever see those devices that have been allocated to them by setting permissions and enabling access. This is a must-have tool for ETOs and engineers looking to manage onboard networks. Echo is a user-friendly management solution that enables secure and managed network access for client devices such as Apple TVs. It is designed to manage which device will be shown over the network and who has permission to see this device. As a result, network users only see those devices to which they have access. Owner specified devices such as Airplay, Chromecast or Miracast etc can be allocated for the Owner’s use only and as such, remain hidden from view to guests and other network registered users. This means, for example, that Guests cannot accidentally select the Owner’s Apple TV. Personal devices can be made available on the network but still remain private as they will only appear to those with permission. Management of Echo takes place via the web portal where access and permissions can be assigned. Guest Access is provided via the captive portal enabling access to the network. Private and personal content can be added to this landing page. Echo features several management tools which ensure unregistered users cannot gain access and that make adding and removing devices straight forward and efficient. A product by YachtCloud: LiveQ provides a complete live overview of all of your favorite TV Stations on all mobile devices and TV Screens on board. Live TV channels and recorded content can be displayed in a mosaic style grid for an easy overview of your favourite and most watched channels. 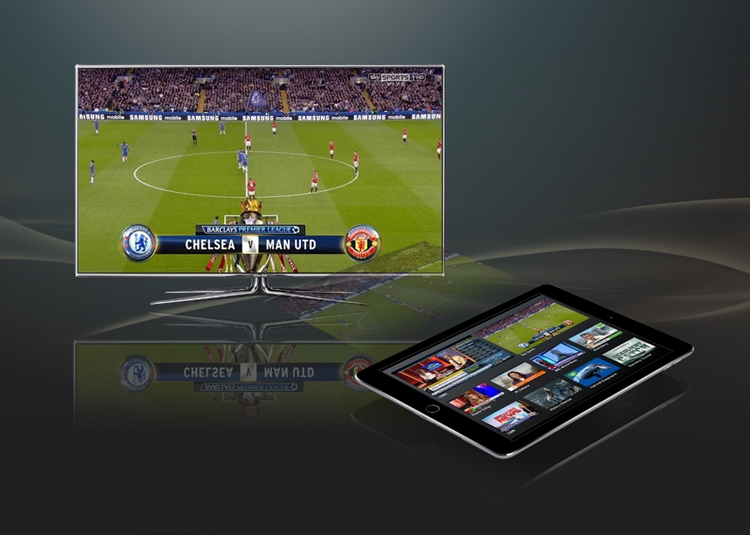 This provides quick and easy access to your top TV channels without having to search through every one available. A product by YachtCloud: LaundryBoard facilitates the monitoring, tracking and handling of onboard laundry loads. It is an easy to use programme operated via an iPad enabling crew to manage, log and track every item of yacht and guest laundry. It records and alerts crew to specific garment care requirements, provides dry cleaning status tracking and displays automated notifications related to overdue items. It has been developed specifically for the yachting industry and helps stewardesses improve efficiency and productivity. LaundryBoard runs off a secure onboard server with a local network and a dedicated laundry-based iPad. Unlike some app-based laundry management products on the market, LaundryBoard does not require an internet connection or data usage, data entered does not leave the vessel and updates and amendments within the product are instant. LaundryBoard is fully customisable to suit the laundry requirements per trip, guest, garment, cabin and user. Authorised crew log in via the onboard iPad for full access to all current and previous laundry records and information. With a complete overview of the current status of each item including details and photos related to pre-damaged items, LaundryBoard ensures that managing multiple laundry loads and following special care instructions or guest specific requirements is efficient and effective. As all information and user entries are logged, accountability is guaranteed, product handling errors are minimised and sharing vital information is seamless. LaundryBoard saves crew time and money and increases productivity. LaundryBoard has been developed together with yacht interior crew to create a truly fit-for-purpose solution. One that meets the actual onboard demands and is a useful and productive tool for interior crew designed to save time and money. It is fast, effective, simple and easy to use. All items can be photographed for easier identification and to log any notes of importance including fabric handling, damage and stains. The need for actual product tagging is eliminated resulting in reduced risk of damage or permanent flaws to clothing / linen. Notes can be added to each item to assist with sharing information and recording any special care or client requests. LaundryBoard features a pre-installed list of certain brands helping to fast track product data input. The product’s multiple reporting system means that status reports can be generated for active and past laundry per trip with a full record of all entered data available. Delivery notes can be generated for dry cleaning and the automated notifications and reminders ensure all items remain on schedule. Wardrobe Management is an additional tool to be used within LaundryBoard. 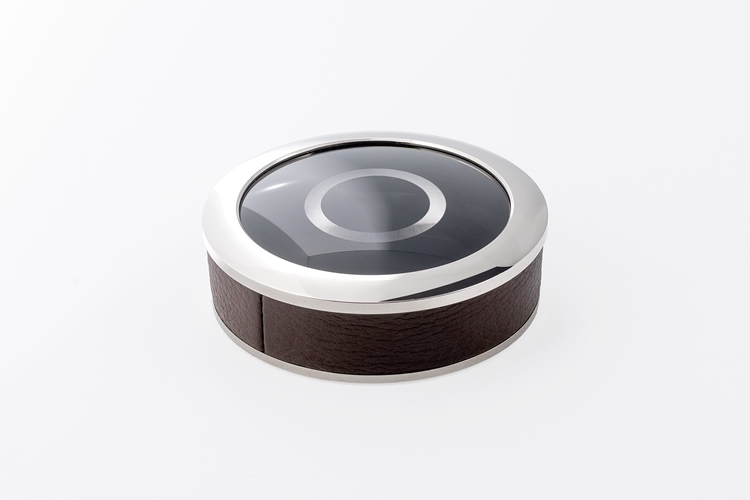 It enables the management of the Owner’s complete wardrobe by providing crew with an instant and unique overview of the exact location and status of all wardrobe items. It has been developed in response to specific requests from yacht crew to further extend the functionality of LaundryBoard by incorporating a wardrobe management system so that the entire laundry process can be tracked and monitored. Wardrobe Management is a useful tool for interior crew aimed at improving onboard operation, processes and service. Conveniently displayed on an iPad with an easy to use interface, it allows crew to manage, log and track the Owner’s wardrobe items. Photos can be taken to record the exact layout of the wardrobe ensuring all interior crew, both old and new, have a pictorial guide to what items go where for unpacking as well as a visual inventory of content and a photographic record of any garment damage or stains. As an extension to the tracking process within LaundryBoard, garments can be checked out of the laundry and back in to wardrobes and vice versa. Crew can track all items of clothing throughout the entire onboard handling process from initial arrival on board to final departure. As all information and history is logged within the software programme, the feature can also be used to confirm the location of garments once the owner has left the vessel and headed to another yacht or estate. Housekeeping for example can check with the onboard crew to see if a certain item is still on board or if and when it was ‘checked out’. What else does Wardrobe Management do? Wardrobe Management safeguards garments and promotes accountability, efficiency and operability. It also eliminates the stress related to trying locate and track favourite and much-needed items. It is a tool that supports crew communication, is easy to use and is designed to make an integral part of the interior operation easier to achieve through the application of technology. 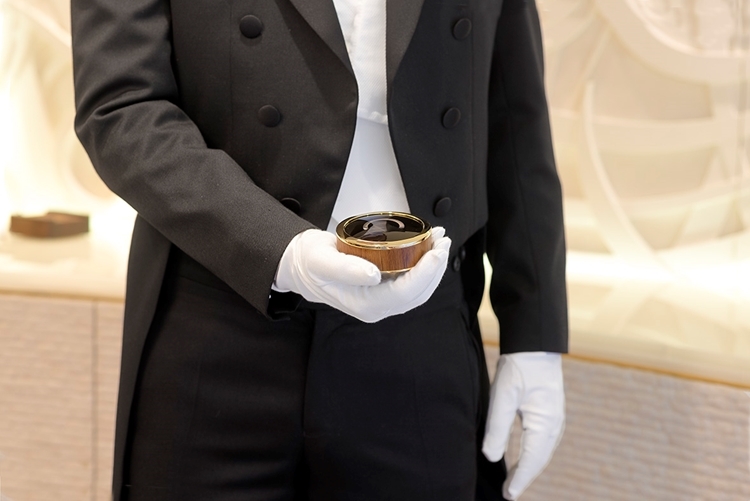 Most importantly, Wardrobe Management has been developed to meet actual onboard needs. Wardrobe Management is an add-on feature to LaundryBoard which facilitates the monitoring, tracking and handling of onboard laundry loads. 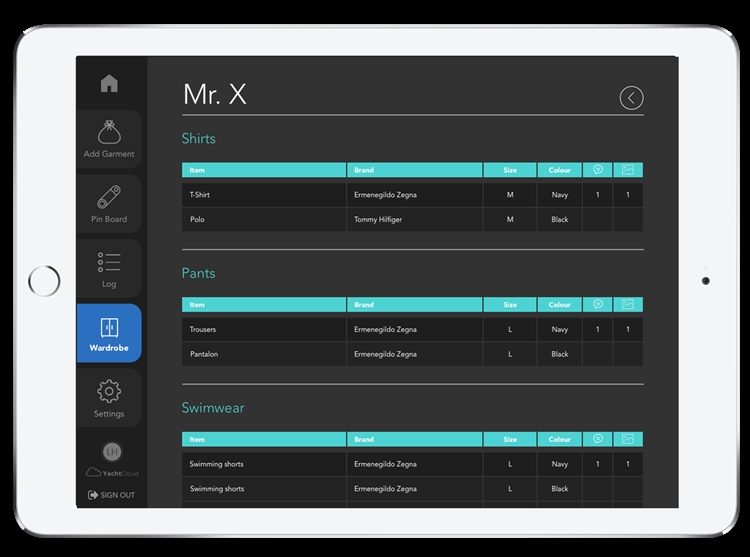 LaundyBoard is an easy to use programme operated via an iPad enabling crew to manage, log and track every item of yacht and guest laundry. It records and alerts crew to garment care requirements as well as providing dry cleaning status tracking and automated notifications related to overdue items. How do I get Wardrobe Management on board? Wardrobe Management is available to purchase directly from Luxury Hospitality Management (LH), YachtCloud’s key product partner for LaundryBoard. LH have formed a fundamental role in the development of Wardrobe Management through their work with yacht crew to pinpoint the exact onboard requirements and setting YachtCloud the challenge of developing a solution to meet them. “We aim for crew to be able to operate at their very best at all times so that the highest level of service can be achieved continuously. Providing crew with useful and productive products is key to helping them accomplish this and Wardrobe Management and LaundryBoard are amongst them. They are fundamental when it comes to a smoothly run yacht interior,” explains Peter Vogel, Co-Founder, Luxury Hospitality Management. “Following the launch of LaundryBoard we received many requests asking if we also had a product that could manage the wardrobe-related processes on board. Extending LaundryBoard to incorporate such a feature seemed the most natural solution and so Wardrobe Management was born! The result of listening to what it is that crew need to address and solve the actual issues and frustrations they face in their day-to-day interior operations.” Roel van der Zwet, Commercial Manager, YachtCloud. 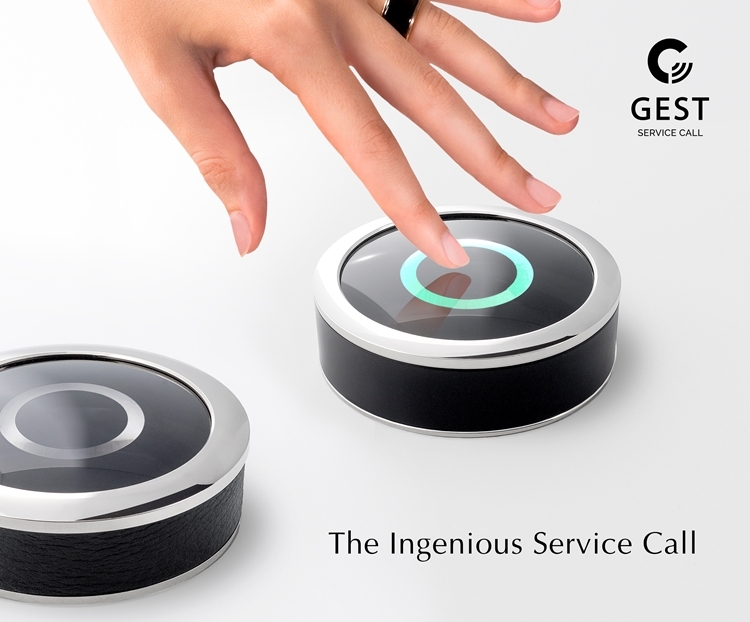 GEST is an ingenious service call solution. 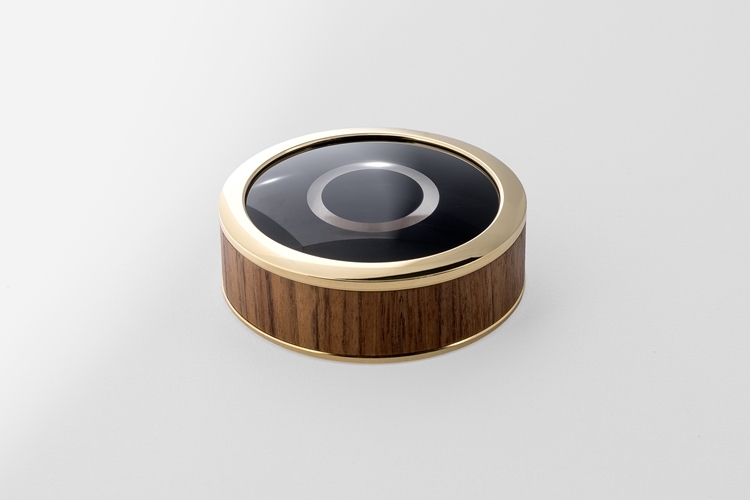 Easily enabled with a simple WiFi connection, location-aware and with efficient and two-way communication, GEST embodies excellent service, unrivalled privacy and exquisite materials. Its seamless blend of exclusive design coupled with smart and intuitive technology provide excellent service to the finger tips of those who demand nothing but the very best. Latest Jobs from YachtCloud B.V.